I happened to be leafing through one of those supermarket rags the other day. You know the ones that claim Angelina Jolie is really wicked, Jennifer Aniston will never recover from Brad, the Kardashians are actually people of importance and George Clooney is truly in love this time. These things have not changed in the decades since rags became reading material but what has changed is children. Most notably ‘star’ children – and a suspicious number of twins who are ‘star’ children. There are whole sections of magazines devoted to toddler fashion declaring that Jennifer Garner’s child out fashions Sarah Jessica’s. And the one thing in common with all the smiling parents is how much they adore their children, or out adore compared to others. The sign of good parenthood is no longer teaching, guiding, or God forbid, disciplining. It’s all about adoration. And it is not just the stars but those more common folk who mimic fake magazine people; in fashion, food and music who are into the whole adoring thing. 1) When your children are grown and they are not the center of everyone else’s universe will you make provisions to hire an Adorer because in time, a very short time you Tom Cruise, Nicole Kidman, Sarah…Jennifer..etc etc are going to get pretty sick and tired of giving, giving, giving? 2) When you are spending your life adoring your children are you going to invest in bubble wrap to protect their poor psyches from a cruel and harsh world that might actually expect them think of something other than themselves? I can only hope that all these babies of adoration will someday live in their own city, perhaps called Centerville so that all the real children who learn that you have to actually earn points by hard work, that life is hard but can be mastered and that not everyone is going to like you let alone adore you, can get on with their life in the real world. Children, who will know that in spite of hardship they are loved, and that adoration is nothing, except a façade setting up unrealistic expectations for these wee ones. Besides, all that smiling and reporters saying, “He/She adores their little one so much. 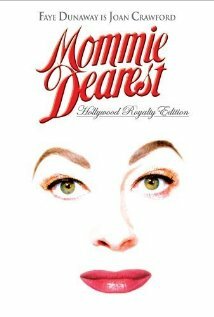 It is proof how well loved they are.” Adoration has never been an indicator of love and too much smiling just makes me wonder how many Mommy Dearest books are waiting to be written.